Delhi's air quality fell this morning as it inched closer to the "severe" category, with a massive landfill in north-west Delhi's Bhalswa continuing to smoulder. The Central Pollution Control Board or CPCB recorded the overall air quality index in the national capital at 358 this morning, which falls in the "very poor" category. An air quality index or AQI between zero and 50 is considered "good", 51 and 100 "satisfactory", 101 and 200 "moderate", 201 and 300 "poor", 301 and 400 "very poor", and 401 and 500 "severe". 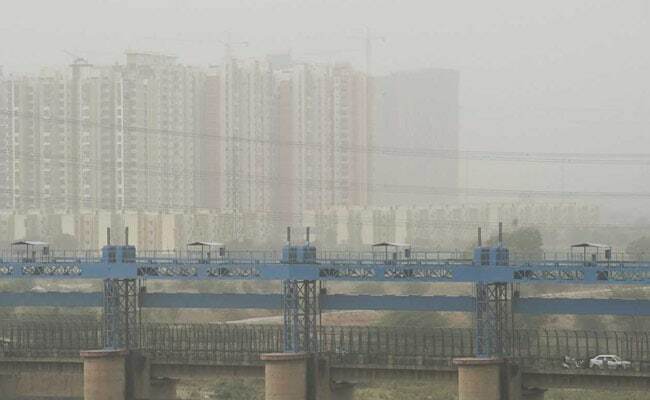 Faridabad, Noida, Greater Noida, Ghaziabad and Gurgaon also recorded air quality in the "very poor" category on Thursday, according to the CPCB data. The air quality in Delhi had shown signs of improvement on Monday as it moved from "very poor" to "poor" category; however, it fell to "very poor" levels again on Wednesday even as firefighting continued at the Bhalswa landfill site. A Delhi Fire Service official said today that a fire truck was stationed at the landfill as parts of the site were still smouldering. A fire broke out at the landfill on October 20.